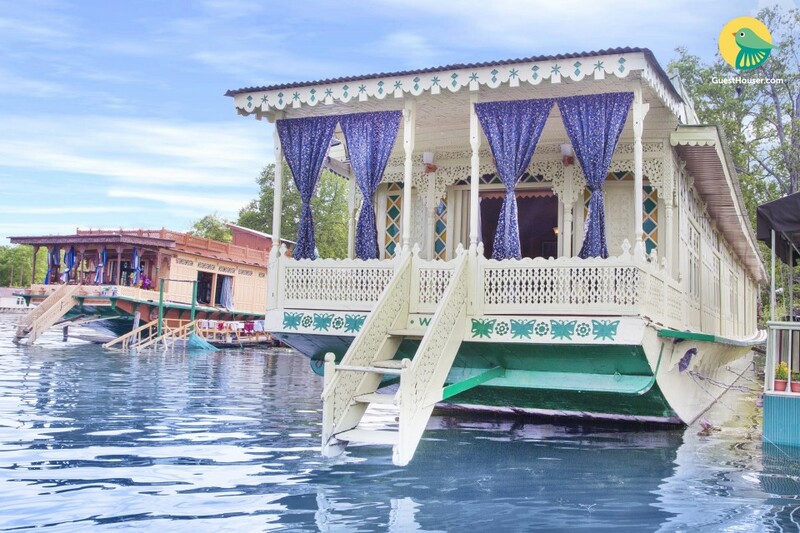 Tethered to the banks of Dal Lake, this is an offering of a private room in a houseboat, which can accommodate up to three people. 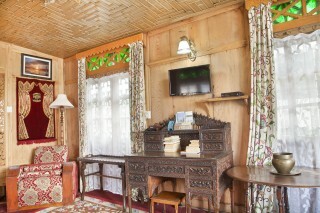 The abode is furnished with antique furniture, and the room on offer is ideal for a serene vacation. Breakfast is provided on request. 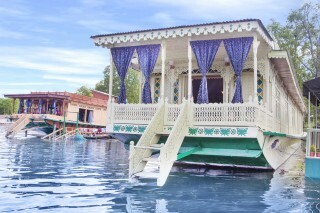 Your Space Designed with khatamband artistry, this houseboat is furnished to provide modern comfort. It features a porch with cushioned platform seating that makes for the perfect spot for those lazy mornings with a good beverage. 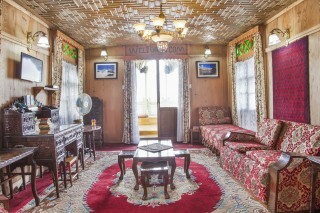 The living room houses an upholstered sofa set with coffee tables, a divan, a flat-screen television, and an intricately carved writing desk. Wall-to-wall carpeting and a chandelier adds a touch of elegance to the room. 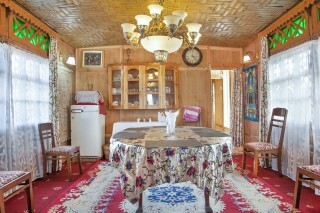 There is a dining area as well, where you can savour a delicious Wazwan meal with your travel buddies. 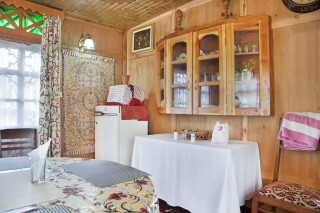 The room on offer houses a comfy double bed with side tables, a single bed, a utility table, and a dresser. 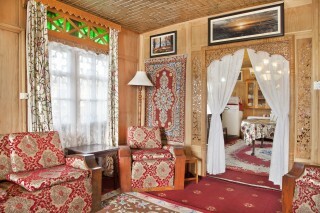 The en suite washroom is appointed with western sanitary ware. 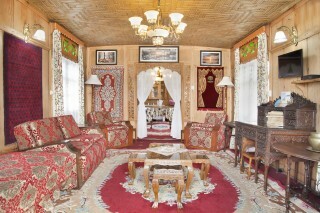 To reach Srinagar by train, one has to reach either Jammu Tawi or Udhampur railway station. The stations are well connected with different parts of India.